Acclaimed author Richard Harland will once again visit Cabra College this Thursday 14th November for a series of talks, to promote his new novel, Song of the Slums. Harland is the author more than a dozen books including the Steampunk novels Worldshaker and Liberator. His new book Song of the Slums is once again set in the alternative historical fantasy world of Steampunk. Richard will visit Cabra College on Thursday 14th November. Signed copies of his books will be available for purchase at a mere $15. Please see Mr Bull in the Senior Library or Miss SB in the Middle School Library for details. Check out the Richard Harland Links below for more info on the author. Complete Bibliography of the author’s work. post-apocalyptic fiction, and alternate history in literature as well as related static, motion, and virtual arts”. The site is a real treasure trove of information on some of the most interesting and influential writers in the history of fiction. 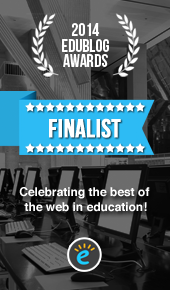 This week’s Website of the Week is Risingshadow. This site is a very comprehensive, searchable database of Science Fiction and Fantasy books and authors. Read reviews of the latest specualtive fiction novels or the classic books that started the genre. On Wednesday 23rd May as part of National Year of Reading acclaimed Adelaide author and illustrator D.M. Cornish visited Cabra College. He addressed several hundred students from Years 6-10 during two brilliantly informative talks in the newly opened St. Dominic’s Hall. Accompanying his account of how he got started as a writer with dozens of his own intricately drawn illustrations, Mr Cornish held the pupils captivated. Each session concluded with a detailed and at times humourous question and answer session. 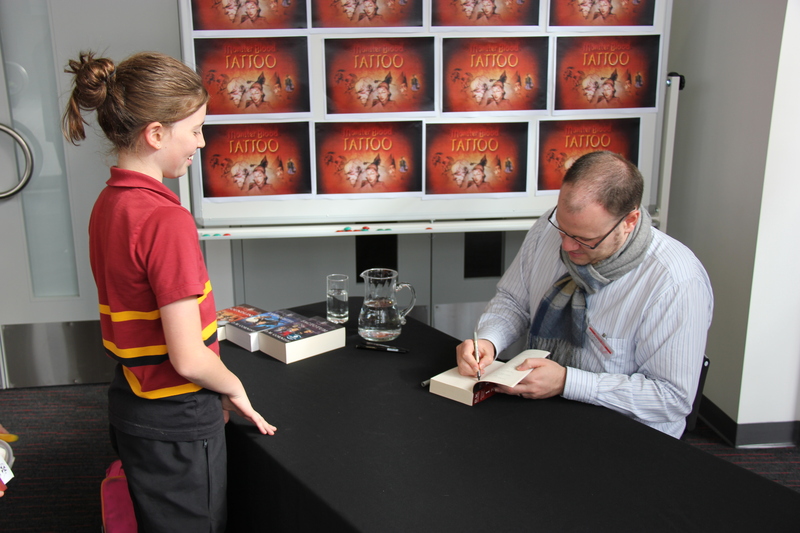 The author signed copies of his Monster Blood Tattoo trilogy during Recess, posing for photos with excited students. After an invitation-only lunch with lucky pupils Mr Cornish led a unique writing workshop with a Year 10 Extension English class. Students left this session buzzing with ideas for stories, novels and worlds of their own to build. D.M Cornish is the author of the well received fantasy series, Monster Blood Tattoo originally published by Omnibus Books here in Adelaide. Adelaide author and illustrator D.M. Cornish is at Cabra College tomorrow for a series of talks, book signings and a writing workshop. Cornish is the author of the well received fantasy series, Monster Blood Tattoo originally published by Omnibus Books here in Adelaide. If you’d like a signed copy of any or all of his three books bring $15 per book to the Book Room. Mr Cornish will be signing his books from 10.30am in the foyer of the new St. Dominic’s Hall. Click on the links below for a wealth of Monster Blood Tattoo and Half Continent info and resources. As part of National Year of Reading acclaimed Adelaide author and illustrator D.M. Cornish will visit Cabra College on Wednesday 23rd May for a series of talks, book signings and a writing workshop. Cornish is the author of the well received fantasy series, Monster Blood Tattoo originally published by Omnibus Books here in Adelaide. The author had been working as an illustrator for Omnibus before his detailed illustrated notebooks were discovered by the publisher Dyan Blacklock. His elaborately detailed world of The Half Continent takes readers on a journey into realms of monsters versus humans, bringing to mind the best work of Tolkien and Mervyn Peake‘s Gormenghast Trilogy . The film rights to his Monster Blood Tattoo trilogy have been bought by the Jim Henson Company and so we may yet see a big screen version of Rossamund’s tale emerge. D.M. Cornish will visit Cabra College on Wednesday 23rd May for a series of talks and a writing workshop. Signed copies of his books will be available for purchase. Please see Mr Bull in the Senior Library or Miss SB in the Middle School Library for details.